Set in a stylish building, recently renewed and modernly refurbished, these offices benefit from advanced technology solutions and parking facilities. It has a comfortable working atmosphere, accessible 24 hours a day, allowing you to work on your own timetable. 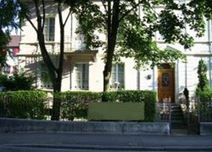 The offices are located in the centre of Biel, in a quiet area close to the main road and surrounded by banks, shops and restaurants where you can impress clients. This prestigious building, modernly refurbished but retaining classical features, offers a selection of fully equipped offices and spacious meeting rooms. Its pleasant working atmosphere is inspirational and motivating. It is located in the heart of Biel, where these office spaces are close to the main shopping streets of the city and are surrounded by plenty of amenities such as hotels and attractions.